Welcome to your guide to anything and everything related to the Minneapolis real estate market. Looking for property listings, foreclosures, MN short sales, sold MLS listings or information on Minneapolis open houses? Are you considering relocating to the Minneapolis area? As the #1 Real Estate Team in Minnesota, The Minnesota Real Estate Team of RE/MAX Advantage Plus is here to help you with all of your Minneapolis real estate needs. What are the current real estate market conditions? Here in 2019, we are seeing our local seller's market continue. With only 9,000 plus homes for sale on the MLS here in the Twin Cities, buyers are finding less homes for sale to choose from. And Minneapolis homes are selling much more quickly than in prior years. Currently in 2019, the median sales price in the city of Minneapolis (numbers through November 2018) has increased 9.3% year over year. In Minneapolis, the median sales price is $265,000 and the average sales price is $325,164 (this is a 7.1% year over year increase.) This is certainly welcome news for our Minneapolis market with prices previously having decreased significantly over the last few years. If you are curious about your Minneapolis property value in today's market, please fill out our home value form and we will email you a market analysis done by an agent on The Minnesota Real Estate Team. Or at your convenience, we most certainly can visit your property to give you a more accurate estimate of your home's value. The current market conditions (with reduced inventory levels) are definitely highlighting the importance of working with a top Minneapolis Realtor when looking to purchase or sell a property or home for sale. More than ever, buyers and sellers need a top real estate agent and broker who can guide them not only to an accepted purchase agreement, but more importantly through the escrow process to a successful closing. Minneapolis lofts and condos have undergone massive growth in the past ten years. Recent economic problems over this time period, coupled with overbuilding have increased inventories and reduced prices. In the couple of years or so, the market however is starting to turn as buyers are finding interest rates at historical lows and prices lower. Traditional lofts remain a little bit more expensive, as there are only so many older, historic buildings in downtown Minneapolis that can be renovated and converted into lofts. However, soft lofts and new downtown condominium projects are bringing more affordable housing to the downtown area. Our team has published a very comprehensive guide to Minneapolis Lofts and Minneapolis Condos - please check it out and let us know if you would like more information on any of these projects. The Minnesota real estate market is currently seeing a smaller number of bank owned listings for sale. There are definitely less REO MLS listings for sale now in Minneapolis (than compared to this exact same time last year.) The primary reason for this: the overall real estate market and economy has been on the upswing. Lending conditions have made getting a mortgage much more difficult as well. 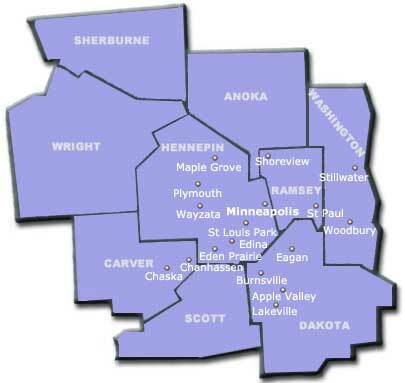 For those looking for MN MLS listings that are either short sale or foreclosures, search Minneapolis foreclosures here. Simply click on the link below and register to have this system notify you via email of any new MLS listings in that meet your search criteria. This tool allows you to keep on top of new listings the same day they hit the market! Are you looking to relocate to this area and wondering what type of weather to expect? For those who have lived in Minneapolis, MN their entire lives, we know the weather here can be unpredictable. The average low temperature in January is 7 degrees. And the average high temperature is 24 degrees. During the month of January, the average precipitation is 0.90 inches (usually of snow.) For comparison sake, August finds an average high temperature of 81 degrees, and an average low temperature of 62 degrees. Precipitation in this month is on average, 4.3 inches of rain. Minneapolis residents certainly do experience four distinct seasons. According to Sperling?s Best Places, Minneapolis has 198 days per year with some sun. And 101 days with some precipitation. All agents on our team are licensed Realtors in the State of Minnesota. Agents on The Minnesota Real Estate Team are licensed Realtors with RE/MAX Advantage Plus. This website is not a multiple listing service, but each Minnesota & Minneapolis real estate agent is a member of the Regional MLS of MN, inc., a provider of the Minnesota MLS.